For the last couple of weeks the American Airlines website has intermittently been having problems with booking awards. Sometimes it will just error out, or it will be slow. Also recently American’s call center agents haven’t been able to see Etihad award space correctly. Search for the awards correctly on the Etihad website, American generally does have access to the same saver (“Guest”) award space Etihad offers to its own members, call American agents and they will say they don’t see the space. We’ve had multiple instances in the past where American agents couldn’t book Etihad space. Sometimes it’s all Etihad space. Sometimes it’s restricted to first class award space. It’s always been an IT glitch, and it’s always resolved itself. 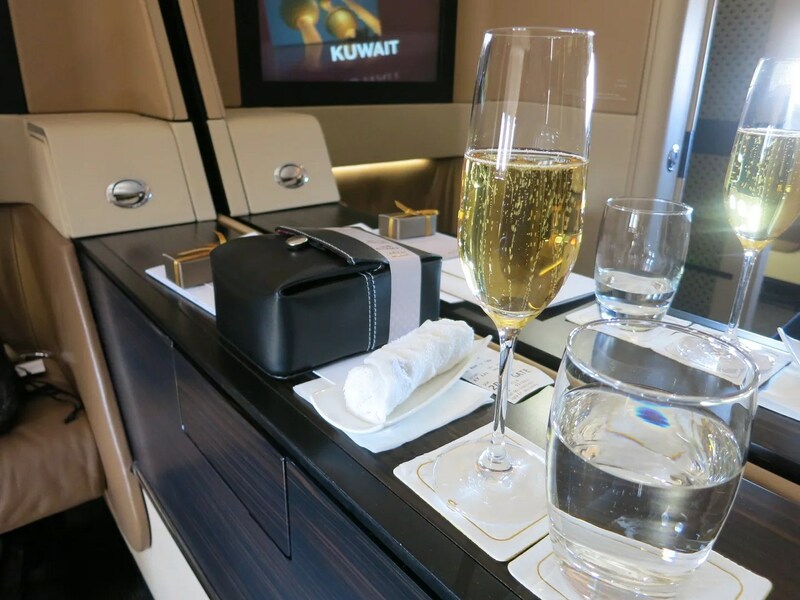 Here’s how to snag Etihad First Class Awards. Last week I raised the issue with AAdvantage, and they told me they couldn’t replicate the problem. But it’s absolutely real — I’ve experienced it, and readers have emailed me consistently about it. Etihad has one of the best quality inflight products of American’s partners. 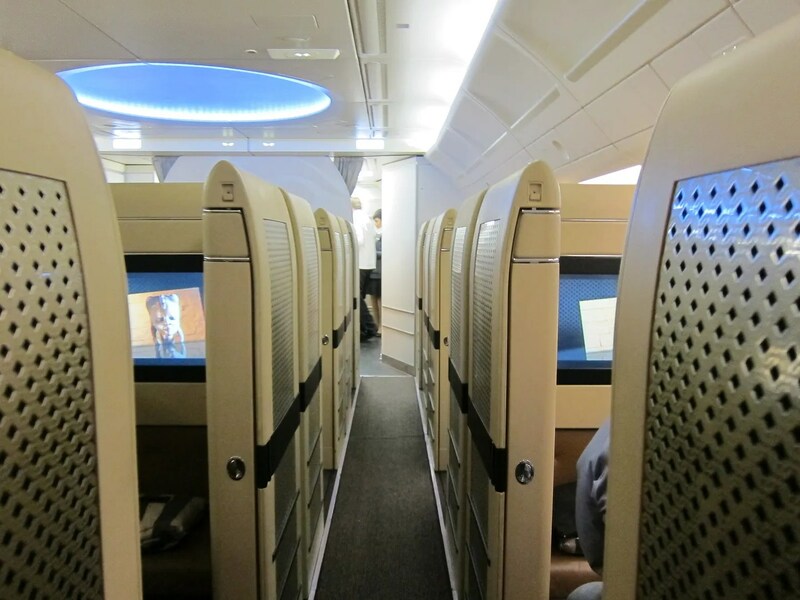 Etihad has outstanding availability, generally, in premium cabins. Fortunately there’s a workaround. Several members of Flyertalk have been calling American’s Australian reservations center and getting the awards booked. I do not know why, but agents outside the U.S. seem to see inventory correctly while US call center agents do not. Reader Scott K., for instance, emailed this morning. Hey Gary-looking at availability on E[tihad] and their website for the fall is showing plenty of award mileage space. Tried calling A[merican] and they said no availability. Any suggestions? Have you heard of any issues? I suggested that he call American reservations in Australia (which is English-speaking naturally, and open 24/7) to book the award space. So if you’re seeing award space on the Etihad website, but American’s US reservations center can’t see the space, try Down Under. Had a similar issue with QF and last week — AA’s award search didn’t show SYD-ADL availability but EF and BA both did. Fortunately, the call center could see the space and book it but the AA search is becoming less and less reliable, even for those partners with whom they have the closest relationships. Who would have thought. Thanks for the tip, Gary. YES! Great one Gary. It’s been frustrating. Many thanks. Thanks for the tip. My daughter is flying Etihad on her honeymoon next year and AA kept telling me no space when I saw it available on Etihad. I just called AA in Australia and she is now in first instead of business. I found that two Australian agents (HUACA!) could not see space on LAN, so I rang the US number where the agent could see “multiple awards on all days” in the week I wanted. I booked, then called back and spoke to the Australian supervisor, Joanne, who could see “multiple awards on all days” on her computer!! She admitted some agents needed more training. On the other hand, months back they booked me on Etihad where the US call center could not see the award. Again they cited training in reading screens. This is great advice. I think what is frustrating is that even the aa.com website errors out with AY or AB award seats, even when they show as available on the site searches. Maybe they should of fixed this before they raised the award prices. Is Qantas.com a reliable tool for searching Etihad and other OneWorld availability? I didn’t think the AA Australian reservation line was 24×7 – it seems to route to UK when I call. any insite as to why all EY F space from US to AUH for 2016 suddenly disappeared? Would this trick work for any other airlines? I see business class availability on Expertflyer for Gulf Air for a flight from Bahrain to London but whenever i call AA in the US, they tell me nothing is available. Noticed the same thing Eric did above. ALL business and first class from IAD or ORD for the next year is gone. A glitch? @Takhliq Khan I haven’t tried other call centers for Gulf Air, it seems like a starting place is just hang up call back. Agents don’t have experience looking for it. @Eric i would be surprised if it doesn’t. Um, maybe because a blogger publicized its availability, the swarm of locusts did what they always do, and the airline reacted the way they always do to swarms of locusts? Ya think? How come I don’t see the calendar above when I try to search for awards? Just wanted to confirm this trick worked for me as well. Called a U.S. call centre twice, and neither operator could find the award space that I could see on the Etihad website. Then called an international operator (called Aussie number outside of business hours and got redirected to someone based on Fiji) and they saw it straight away and were able to book. Gary! Thanks a million for the tip. Managed to burn up almost all my AAdvantage miles taking the wife LHR-AUH then AUH-JFK. Travelling in May, few days in between in Dubai. Called US and space didn’t show, called Australia and there it was! Huge thanks. Thank you very much for the info! Called US AA number multiple times and didn’t work, they weren’t able to find ANY award seats at all. Went online and wifey saw this post, which turned out to work very well as we called the Australian number and found availability! LHR-AUH then AUH-MLE, here we come! Thanks so much Gary you are a superstar 🙂 I was able to book LHR – AUH apartment in the very last minute (it is 21st march in australia already) because of your advice. I now have enough miles only for LHR – AUH but I plan to add another segment JFK – LHR and combine the itineraries before the date of travel. I cannot ask them to re-do the mile calculation when I add the JFK-LHR segment because JFK-LHR will be in economy. Will they refund the “luxury tax” after I add the JFK – LHR segment because I will not be staying in LHR for > 24 hours?